Hey guys new here but have been lurking for awhile now. Start by saying this is actually not my car but actually my girlfriends, i supply ideas and do the work. The car is her daily so mods can't be too extreme but it's a really fun car and seems to be reliable wish it was the type s but the k20Z2 has some kick! -Aftermarket hood, possibly a carbon fiber one. The oem hood has a dent on one side from rear ending my truck..
-Do the acuras have a factory amp? And if so is it half decent for aftermarket speakers? -Do these cars have a limited slip or open diff? Thats a nice ride! Wish they'd sent those to the U.S.! Thanks! It's really fun car! Been awhile but sadly don't have any big updates. Still haven't put on those stickers due to winter here and lack of a heated garage to do it in, also didn't order the spoiler although that will come with time. As for what tires we're going to get I'm still a little unsure, some options I've been seeing our Bfg G-force Comp 2 a/s or the nitto nt555 but when it comes to car tires I'm not to experienced. We need something that can handle rain and gravel and have decent life but still grip a corner nice and tight so give some input! I have not ordered from here but when I do my Fit with LED's I will probably be using them. You can do a search by the car. Not sure how hey feel about Canada shipping though. 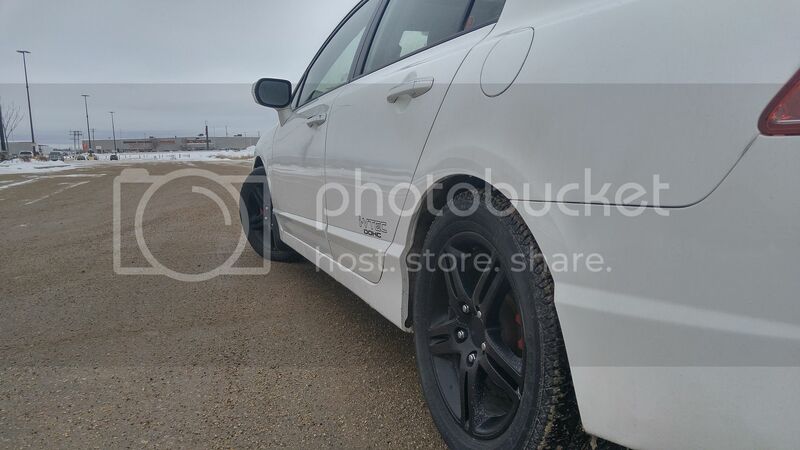 As for tires I have the BfG Sport Comp 2's and love them. Never tried them on gravel but great in the dry and wet. Other option that is popular is Yokahama S Drives (I believe that's the model). I might try those or some Pilot Sports when my BfG's are done just to try different tires for comparison to the Comp 2's. Good to hear about the tires, for the gravel its not like we rally race down them haha but its at least a mile everyday down them. Good to hear about the rain they seem like a good tire, hows the life on them? Interesting review on the ACURA CSX !!! HEY The Engine Is a K20Z2 Not a K20A3!! !